Qualifying Potential Customers–What is that? Your average builder goes with the flow. Potential customer calls, you get their name, address, a time to meet and you go. Why on earth would you want to complicate the situation? This is your chance to get in front of them and “Sell Yourself”. That nugget of goodness was shared with me by a deck builder named Tom. He trains his franchisees to work every lead that way. He couldn’t be more wrong. While you are working leads with unrealistic budgets, you have less time to invest with the right customers. This is part of what is wrong with the building business. It’s just another example of the indentured servitude most contractors find themselves in, because, “That’s the Way it has always been done”. I have been grinding away at builders for about 20 years suggesting that there is a better way. Being a professional means not working for free. Shawn Van Dyke gives great advice regarding markup and profit strategies. If time is money, then, you need to track your time and pay close attention to where you are wasting it. 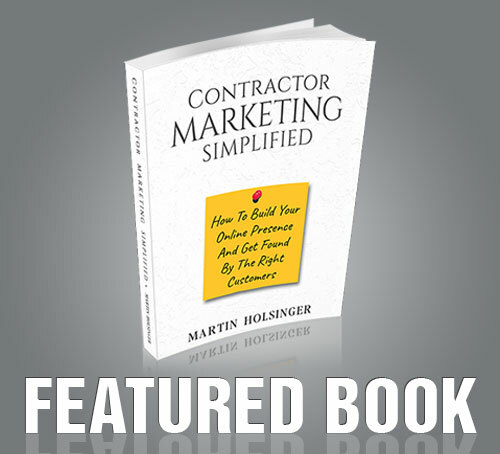 It takes sales skill to make those all-important numbers he trains builders to maintain. We have to learn about profit, markup, and numbers, but we also need sales strategies to develop the skill to make it all work. In order to keep profit margins healthy in any trade– you need to up your sales game! Chasing leads without qualifying them first is an obvious waste of your valuable time, so, let’s keep all your time invested in selling profitably. Many builders avoid speaking with clients on the phone for fear of turning them off. Better to get in front of them since a body is harder to get rid of. If high-pressure sales are your thing–you may be right, but most tradesmen are soft sell practitioners. The purpose of a phone chat is for you to decide if this potential customer is right for you, and, to set yourself apart from the competition. You are interviewing them on the phone to determine what type of customer they are, and, whether it is in your best interest to invest time in them. If you do it right, you can also make an impact by persuading them that you are a trustworthy expert. “Is Price is their Prime Concern”?… ask them why. It could be that their budget is not realistic and they are looking for somebody to cut corners or botch the quote to get a bargain. Move on– no profit here. Are they “Collecting Quotes”, “Getting Free Estimates” or “Interviewing Contractors”? That means they don’t know enough about the project to make an informed decision and they don’t know what you do or why they should be working with you. They may be enlisting unsuspecting builders to educate them about their project. Could be 3, could be 20. I avoid these like the plague– unless of course, they are willing to pay me for my time. Ask about the job. Let them tell you what is involved. This is where you will discover plenty of information about the person and what makes them tick. Ask good questions. Ask if they have ever done renovations before. Ask how it went. Ask what went wrong. Let their answers guide you to your next question. What they share with you about past experiences will tell you so much more about their personality and whether you want to get married to them contractually. Do you really want to be legally bound to somebody that stiffed the last 5 builders that worked for them? Do you want to work for a person that broke contracts with 3 different builders to finish a washroom renovation and sued two of them? You will find that many will push back against this phone interview demanding that you come look at the job ASAP. I find that these are often collectors that will take hours from numerous builders and see it as their right. When you are “Bidding” against dozens of companies, the chance of a successful outcome is about nil. There are bad contractors, sure, but there are undesirable customers as well. Online forms offer you the opportunity to check them out first. Google is your friend. Do your research. Often, you can find out exactly who the potential client is, and, what they do for a living. Sure, type in their name, but, also type in their address, email, and phone number. See what comes up. Type in the address and see the house on google street view– look at their neighbor’s homes. Is this your target neighborhood? Once you see the home you will be able to focus your questions. I actually do these searches as the call comes in, or take their info and call them back. This strategy is common among “Price Collectors”. If they can commoditize the process they have the advantage. That means they will fill out every form online and gain the upper hand with multiple quotes competing. The problem with that thinking is that what many of us do is not a commodity. Electricians and Plumbers, not so much. These services are more commoditized. If they have detailed plans and specifications you can obviously prepare a quote based on that information, however, firing that off by email is a waste of time. If you are doing it right you will not be the low bid– which is what they are looking for. Before investing time quoting the project, set up a time to meet and present. If they balk, decline the opportunity. Tell them that our policy is to never supply quotes by Email. Of the 30 bids, we have supplied by email over the years we have never been chosen for the project. I am not convinced that this is a tactic used often by our competitors to develop their own pricing strategy. Do you have time to supply your competitors with their pricing guide? Some larger companies use sub-trades as estimators while they are bidding projects… Which they will build using in-house labor. You have 2 ears and one mouth. Speak half as much as you listen. If you sense price is a priority, have the budget discussion–Ask the tough questions. Expectations may not be realistic. Invest some time. Talk about whatever they want to develop rapport. Don’t overtalk–let them speak. (Something I struggle with). Take notes so that you can jot down points to bring up later rather than interrupting. Ask questions and drill down on their answers. Are you Desperate? Hungry? Scrambling for rent money? Maybe you shouldn’t be in this business. When you are desperate potential clients smell it. If you are too eager they will sense it. A busy contractor cannot drop everything to provide their free estimate right now! “Good Contractors” are always busy. If a client sees what we do as a commodity it’s up to you to help them understand why it is not. If you can’t get through to them, it is best to walk away. When a potential customer seeks the lowest price, let them know that you are never the cheapest builder and that you are not the right fit for them. Sometimes they will hesitate. Pushing them away often helps them see things more clearly. Very few builders will do this, so, you have already set yourself apart from the crowd. Help them see the error of their ways. A lead that seems to be more interested in quality that has a plan already and is willing to meet you for a presentation and go over the project, sure, go ahead and prepare a bid. What do they mean by “Free Estimate”? Sure, you could go to their home and chit chat for an hour or 2, but what you are doing is playing a game. It’s a guessing game and it goes like this: “I will guess what price you have in mind, and if I don’t guess your unrealistic number, I get shown to the door”. Doesn’t it make more sense to have that budget discussion on the phone rather than using your gas and time to discover that they don’t have realistic expectations? Budget is a prickly subject. You don’t want to bring it up during the qualification phone call unless you sense it is important to them. When they refer to price, budget, reasonable cost, however, ask them directly, “What is your acceptable budget range?” If they change the subject or don’t answer that is a red flag. Be direct, ask again. If they do not answer drill down as to why they refuse to identify their acceptable range. It might be that they see you as a used car dealer. They may not have a clue as to what your service is worth. When they deflect twice, there is a problem. At that point, I will explain it to them this way. “I can design something worth $120,000, but if your budget is $5000, what is the point in that?”. Then I ask them again. If they still deflect or change the subject it may be time to part ways. Something is just not right. Here’s where charging for the initial consultation can be money in the bank. Quite often, after a 5-minute discussion during which I have qualified them as well as myself, googled to see that they are in a nice neighborhood and got a good feeling from the conversation, I fill them in on our process. “The initial consultation, (or site visit, design consultation, site inspection), is x dollars and usually takes an hour or two”. All of a sudden a budget discussion begins. 75% of the time they throw out that $5000 deck budget and I head off the wasted trip. If I hadn’t charged a fee for the initial consultation it would have potentially cost me 3 hours, fuel and all the other related costs. What you charge for your time matters not. It is token and in principle. If people intend to interview 15 contractors they will not be willing to pay you anything for your time. That is because they do not value your time. What if they need Designs? When a potential client has contacted you for a “Free Estimate”, however, they don’t have a plan or specifications yet, they are not ready to go through the estimation process. They need a designer or architect. In this case, they need somebody to hold their hand and plan their project with them. It is helpful if that designer can plan the project to fit the client’s budget. Will you do this for free? Are you capable and competent to do this work? This is where you may need help. Why not align yourself with a designer and help them design what will fit their needs and budget? Providing this service should never be free. It takes time and effort and research to get good at anything. If you approach designers with the idea of them working for free unless the client buys, you will be shown to the door fairly quickly. This is where you can keep control of the lead by charging for the design, having it done by a professional and presenting it with your quote. Here is an insight as to how I work. You may be able to adjust this kind of process to work for you for your specialty. Typically my clients hire me for a deck inspection or design consultation. I do charge a fee for this. It is a small sale, but, during that visit, I often sell them a design. Since they have already invested in me, the next sale is easier. When you eventually sell them the project, it is the third thing they have purchased from you. You have already impressed them during the initial consultation, and with the design. They have confidence that you will deliver a project that will make them happy. Within this process, we are implementing sunk cost fallacy. Humans are averse to losing money–since they have already invested in you they are prone to stay with you. As long as you are sincerely giving your clients good value for what you supply, it is not a negative thing. Referral leads can be the best and most valuable leads, however, that doesn’t mean you should work for free and ignore any red flags that may be present. They still need to be qualified. You likely shouldn’t be racing over without a phone chat. Consideration, however, has to be given to where the referral came from. It is always worth an hour to make an appearance to qualify and maintain goodwill in person. Thank the person that referred the potential client as well and gifts are always suitable. For more than 15 years I have been qualifying on the phone prior to turning a wheel. I started charging for design consultations and designs at the same time. Until 3 years ago I would try a free consultation once a year just to make sure I wasn’t wrong. Every time I did it I left short a couple of hours of time and thoroughly disrespected. I felt like I was put through the ringer by someone with ulterior motives. Some customers expect a lot–and that is ok. I deliver value and all I ask is to be working for people that appreciate what I do. If they see you as a commodity it is all about price, and that is not what we do. Construction is about pride, honor, creativity, and craftsmanship. We study our craft for years and many of us work under dozens of masters before starting our businesses. Do paid consultations work? Yes, yes they do. As I wrap this article at nearly 9 pm, I fielded 15 or 20 phone calls today and booked 3 design consultations for 2 decks and a pergola. I also received a verbal go-ahead for 2 projects that were in the pipe, but the other phone leads were not a good fit. That’s ok though, we couldn’t possibly build every project people ask us to do. You and every other contractor say things in a particular way. Customers also speak in different ways. Some listen, some, not so much. Only through trial and error will you discover ways of saying things that get the desired result. Figuring out the right questions and verbiage is key to hearing yes more often. Certain words will set a potential client at ease, and others can fill them with fear. We will get into a few of these in future posts, so stay tuned. For now, give it a try. Spend a bit of time on the phone with potential customers and get to know them a bit. Dip your toe into the qualification pond and see if you can get comfortable. Lawrence Winterburn is a designer of "Woodwork and Outdoor Living Areas". He worked on the tools for nearly 30 years and his work has been featured in dozens of magazines and tv shows through the years. His spends his time coaching, designing, planning and overseeing projects for his builders. He also designs projects for The Deck Store and Paul Lafrance Design. Great article Lawrence. Thank you for sharing your personal experience. Super helpful! Thanks Zach– Glad to help! This is by far the best article I have read about lead qualifying! Well spoken, concise, presented counter points and even psychology! Great job!